Georgian Co-Investment Fund (“GCF”) has announced its investment in a USD $40M greenhouse development project designed to boost the country’s growing agriculture sector and reduce its reliance on imports. This is GCF’s third investment since the launch in September 2013. The investment, which will see the development of a 35 hectare greenhouse in Gardabani of the Kvemo Kartli region, was announced by the CEO of GCF George Bachiashvili alongside the Prime Minister of Georgia, Irakli Garibashvili at the official opening of construction works. The attendants included high-level Government officials, representatives of Diplomatic Corps, International Organizations, Financial Institutions, local population and media. 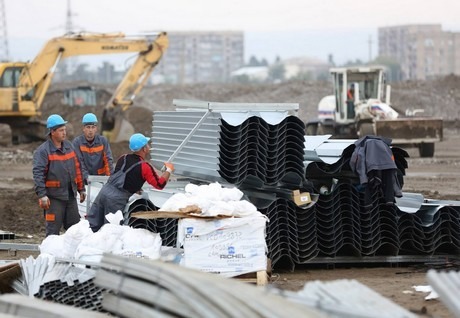 The construction of the greenhouse will permanently employ 80 people from the Gardabani area and when fully complete will have the capacity to grow over 15,000 tons of produce annually and contribute 435,000 Georgian Laris per annum to the local municipality. The project will also reduce the country’s reliance on tomato imports by 30%. The project will be developed in two stages, with the first 12 hectares of construction to be completed by July 2015 with an annual output of 4,000 tons. GCF has two internationally respected co-investors on this project, the “Richel Group”, Europe’s leader in greenhouse technology, and “ICES” an industrial construction specialist in Georgia. CIS Sales Director for the Richel Group, Mr. Brice Richel said: “This is our first project in Georgia and we are very excited to be a co-investor. It has been a real pleasure to work with our local partners; GCF has a very dynamic team of young, dedicated professionals and I’m sure together we can achieve great success. I am looking forward to the day when the construction works are complete and I come back at the official opening of the completed Greenhouse. The Georgian Co-Investment Fund (“GCF”) is a USD$6bn private investment fund, with the mandate to provide investors with unique access through a private equity structure to opportunities in Georgia’s fastest growing industries and sectors. “Richel Group” was established in 1964. As the market leader in Europe, Richel Greenhouse has experience of completing some of the most ambitious greenhouse projects on the continent. “Richel Group” uses cutting-edge manufacturing techniques and as a company has an annual production capacity of 350 hectares. It has implemented successful projects in 80 different countries and has worked in the CIS region before, namely in Azerbaijan, Turkey, Armenia and Russian Federation. 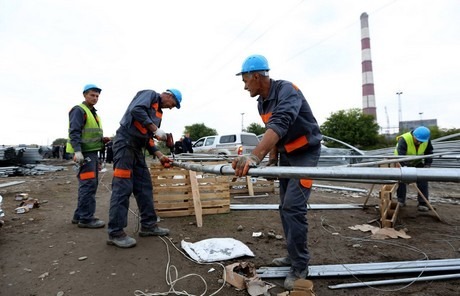 Georgian co-investor company “ICES” has vast experience in carrying out industrial-construction projects. It has implemented up to 100 successful projects. Nowadays “ICES” offers its clients full package service/solution for any type of industrial construction starting from project drafting to equipment supply and installation. On May 13th, 2014, CEO of GCF, Mr. George Bachiashvili signed a Memorandum of Understanding with Mr. Christian Richel, the President and CEO of “Richel Group” and the CEO of “ICES”, Mr. Aleksi Morchiladze in relation to the development of a 35 Ha Greenhouse project at the Georgia-France Economic Forum in presence of the Prime Minister of Georgia Mr. Irakli Garibashvili and the President of France, Mr. François Hollande.